Old method books shed some light on how students and teachers went about the learning process in generations past. These books also frequently include photographs giving us a glimpse at the instruments they were playing at the time. Previous editions of the Gardner Method pictured the author behind a more primitive trap kit. 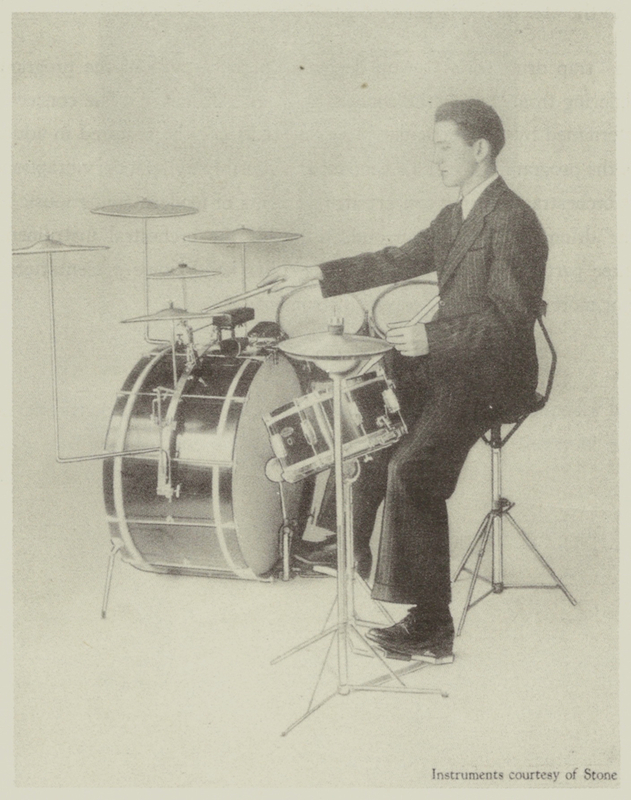 The picture seen here is clearly a younger man behind a newer set of drums. Gardner's Method was first copyrighted in 1919 and subsequently in 1927 and 1938 so it would make sense that the photographs were updated along the way. The snare drum pictured in this 1945 "Revised and Enlarged Edition" is unlike any Stone we've come across from the 1920s or 1930s. It is likely among the very last instruments assembled by Stone and is an odd mix of old components and more modern ones not typically seen on Stone drums. Stone was merely assembling drums from old stock and parts purchased from other companies by this point. Only the shells could have been produced in house at that point, and even that much is uncertain. 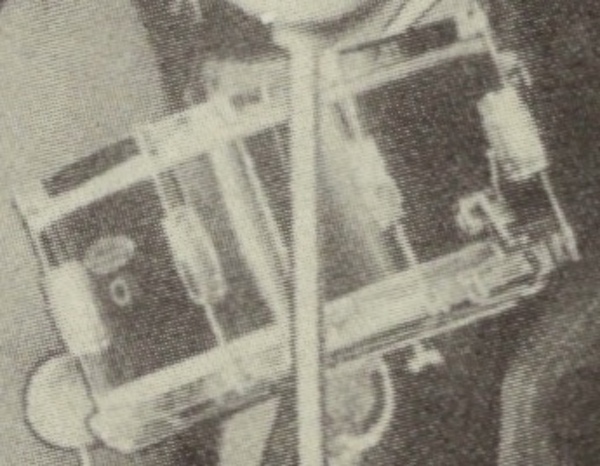 We can clearly see Stone's trademark oval badge mounted on the shell over the air vent and the snare strainer is the same as those used on Stone's Master-Model drums. But the single fanged hoops (metal, not wooden) and metal lug casings (Gretsch 'Rocket' lugs or Ludwig Imperials perhaps?) are a sure sign that this was an assembly job near the very end of Stone's run, circa late 1930s. Do you have a drum made by Geo. B. Stone & Son? Let's talk! Send Lee an email at lee@vinson.net.